A while back I asked for suggestions for solid, comfortable non-steel-toe work boots. 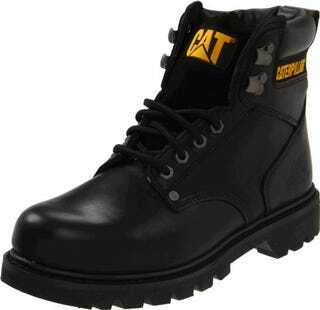 I went ahead and ordered a pair of these guys, the Caterpillar 2nd Shift leather boots, and they were delivered today. They are pretty comfortable, though I can tell there's going to be a long break-in process; they're so freaking stiff! I may still spring for a pair of the Rocky Duty Men's Alpha Force SWAT boots, but for right now I'm going to give these a shot.